Japanese Green Tea is the finest pan-fired green tea. Green tea has a pale green color in the cup and is prized for its light, delicately balanced flavor. Each bag is individually packed in an air-tight laminated foil wrapper. 200 bags per box. A blend of decaffeinated China Black Keemun teas that has the body and flavor to stand up to the English tradition of adding milk to the tea. A wonderful tea for breakfast or anytime enjoyment. When ordering this item you receive a 32 ounce bag of Ashby's Decaffeinated English Breakfast Blended Loose Leaf Tea.Please note that in order to insure the freshness of this product, it is specially ordered from our supplier and then individually packed for you. As a result, please allow 5-7 business days processing time before shipment to you. Japanese Green Tea is the finest pan-fired green tea. Green tea has a pale green color in the cup and is prized for its light, delicately balanced flavor. 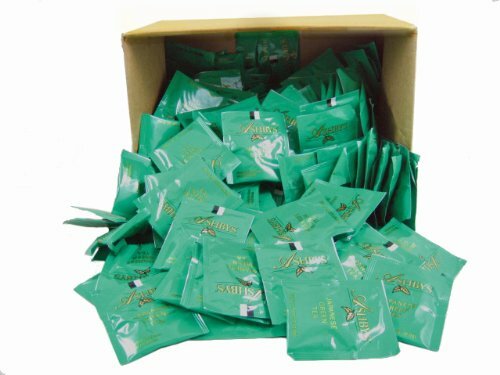 Each bag is individually packed in an air-tight laminated foil wrapper. 20 bags per box. Celebrate the warm summer months with this pleasant blend of China and Ceylon black teas that brews up a clear, full-bodied, refreshing iced tea.When ordering this item you receive a 32 ounce bag of Ashby's Iced Tea Blend Blended Loose Leaf Tea.Please note that in order to insure the freshness of this product, it is specially ordered from our supplier and then individually packed for you. As a result, please allow 5-7 business days processing time before shipment to you. A blend of China Black Keemun teas that has the body and flavor to stand up to the English tradition of adding milk to the tea. A wonderful tea for breakfast or anytime enjoyment. When ordering this item you receive a 32 ounce bag of Ashby's English Breakfast Blended Loose Leaf Tea.Please note that in order to insure the freshness of this product, it is specially ordered from our supplier and then individually packed for you. As a result, please allow 5-7 business days processing time before shipment to you. The best of Hawaii combined, sweet creamy coconut and luxurious rich and buttery macadamia nuts, mountain water decaffeinated. 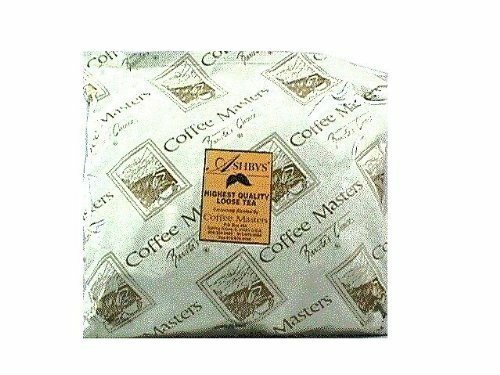 Coffee masters, Inc. was founded in 1985 to offer fresh roasted gourmet coffees, fine teas and high quality accessories to retailers throughout the Midwest. A Delicate blend of Ceylon teas that's perfect for the traditional afternoon tea hour. This tea goes very well with pastries and cakesWhen ordering this item you receive a 32 ounce bag of Ashby's Afternoon Blend Blended Loose Leaf Tea.Please note that in order to insure the freshness of this product, it is specially ordered from our supplier and then individually packed for you. As a result, please allow 5-7 business days processing time before shipment to you. 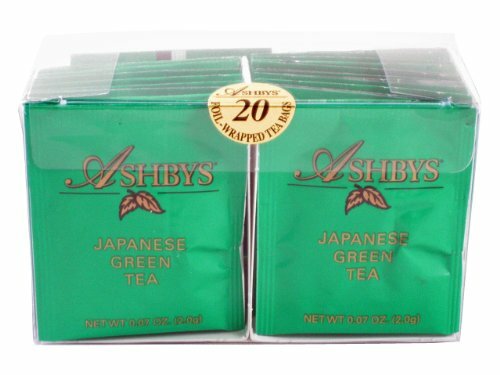 Ashbys tea imports and packages only the highest quality teas from the most prestigious tea growing areas of the world. Their herbal blends maintain the same high standards for ingredients. This delicious lemongrass herbal tea is blended with the taste of ginger root, citrus, roasted chicory root and natural flavors. It contains orange and lemon peels and soothing Chamomile flowers. It is a true tissane containing no actual tea, and therefore, no caffeine. 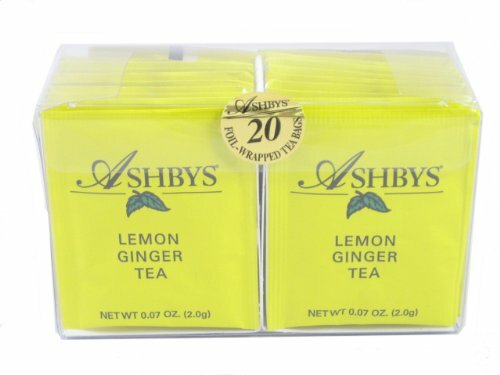 Each bag is individually packed in an air-tight laminated foil wrapper for freshness.Each package of Ashbys Lemon Ginger Tea contains 20 individually wrapped bags. Cinnamon, clover, nutmeg and orange are blended with black tea to create a delicious decaffeinated Holiday tea.When ordering this item you receive a 32 ounce bag of Ashby's Decaf Christmas Spice Flavored Loose Leaf Tea.Please note that in order to insure the freshness of this product, it is specially ordered from our supplier and then individually packed for you. As a result, please allow 5-7 business days processing time before shipment to you.